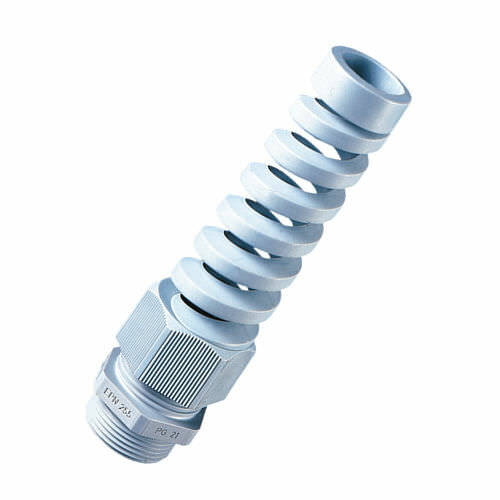 The EPN 255 from PROTEC is a Nylon cable gland that is engineered with a spiral flex protector. It is specially designed with strong nylon 6 that ensures safety from damaged cables and cores, making it more durable during operations. It is ideal for applications that involve mobile machine parts, flexible cables, hand tools and other uses within the electrical appliance industry. This model comes in black and dark grey colors.